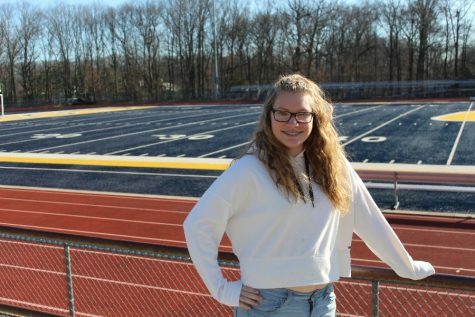 Aimee Seppelt is a 18 year old senior at Colonia High School. Seppelt is involved in the choirs at Colonia high school and also part of color guard for the Marching Patriots. Seppelt likes to focus on her school work and tries very hard in her classes to get the grades she wants! Outside of school, Seppelt has two siblings: one older sister who is 20 and named Jessica and a younger brother who is 16 and is named Erik. Seppelt is very close to her family, they do almost everything together, can tell each other almost anything and loves spending time with them. She is attending Middlesex County College in the fall, and her major is undecided for right now because she is not sure what she wants to do yet, but hopes to graduate Middlesex with her associates and then move on to a four year school! Seppelt loves watching movies (mostly horror) and spending time with her group of girlfriends who are a lot of fun to hangout with! Seppelt hopes to keep in touch with her friends after high school but also hopes to succeed in life. She cant wait to see what the future holds for her!